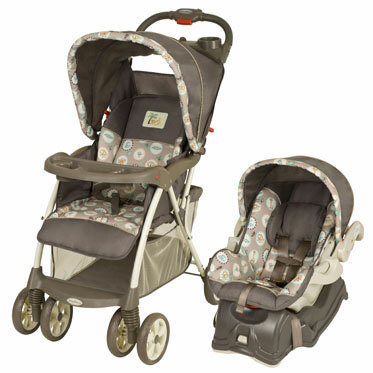 Travel System includes the top rated fixed back infant car seat with EZ Flex-Loc stay in car base. 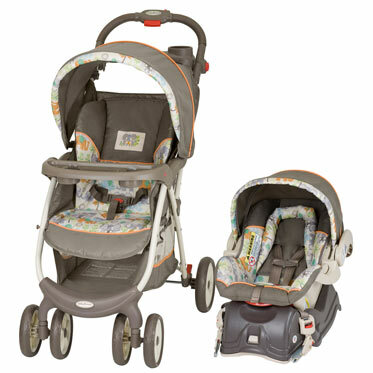 FEATURES Includes EZ Flex-Loc infant car seat and base Infant car seat accommodates 5 ~ 30 pounds (2.2 and 13.6kg.) 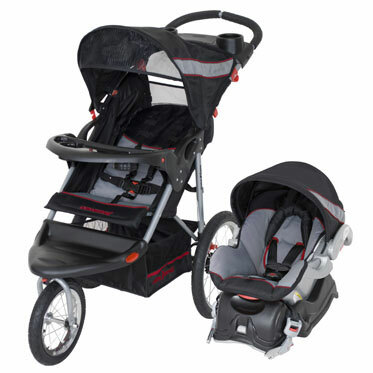 heights of 30 inches or less (76.2cm) Peek-a-boo window Covered parent tray with two deep cup holders 3-Point safety harness Multi-position reclining seat One hand fold Recommended Use Stroller: Birth ~ 40 lbs Car Seat: 5 ~ 30 lbs and up to 30"